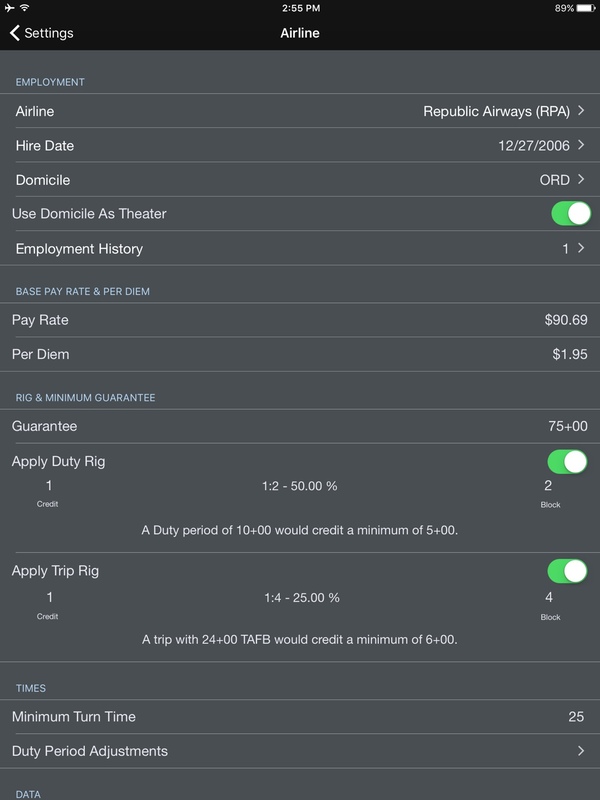 Probably been suggested before, but how about adding under settings/airline where the rigs and guarantees go, a minimum day credit. 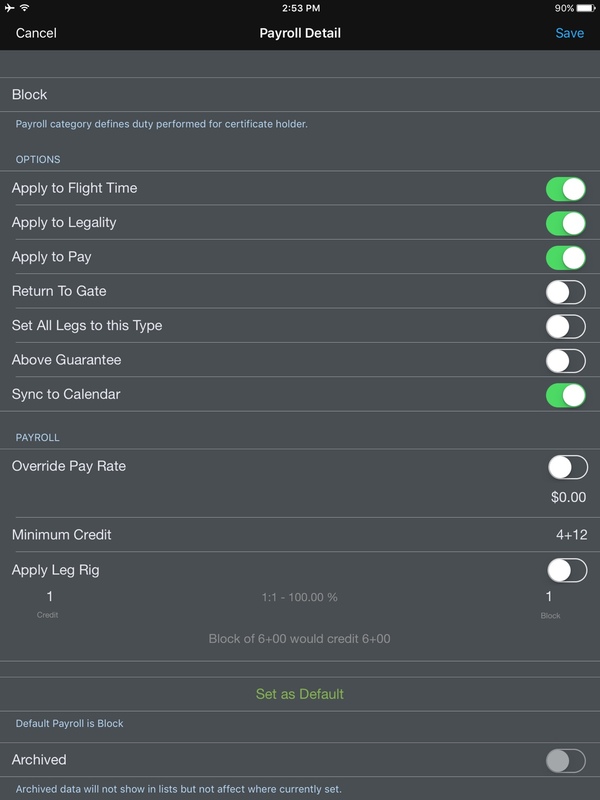 Also, how about allowing under payroll categories, the ability to select, in addition to Minimum credit, a credit override so that a certain event (training) can be credited as a specific amount of hours, regardless of the actual duty time for that event. In the meantime. Set your block, deadhead, RSV, etc to 4:12 min credit. I know it's laborious but you set it once and it's done.